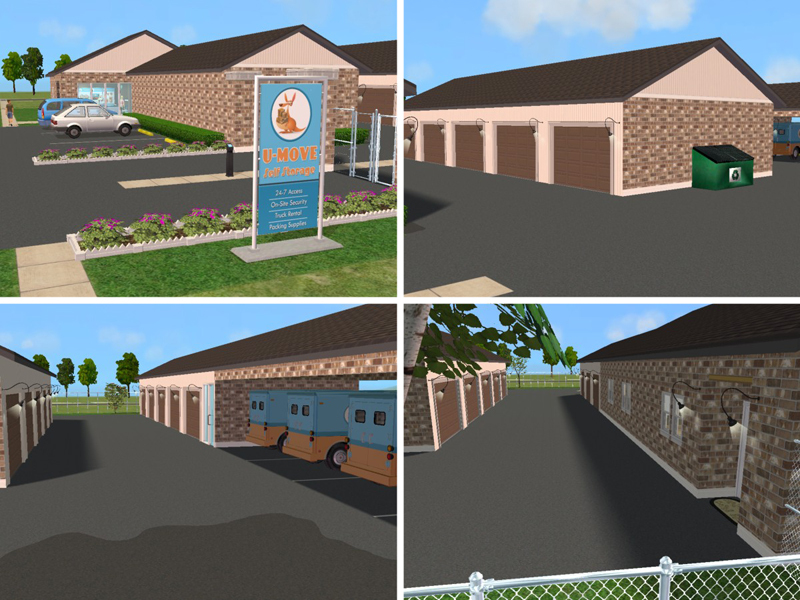 A unique business that allows the lot owner to live on the property and manage self storage units. 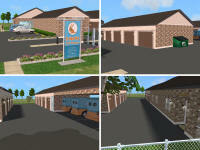 The entrance of the lot features a small store, parking lot and the gated security entrance/exit. Inside the fenced area are 18 storage units, a covered parking area for the rental moving trucks, visitor restroom and owner's apartment. 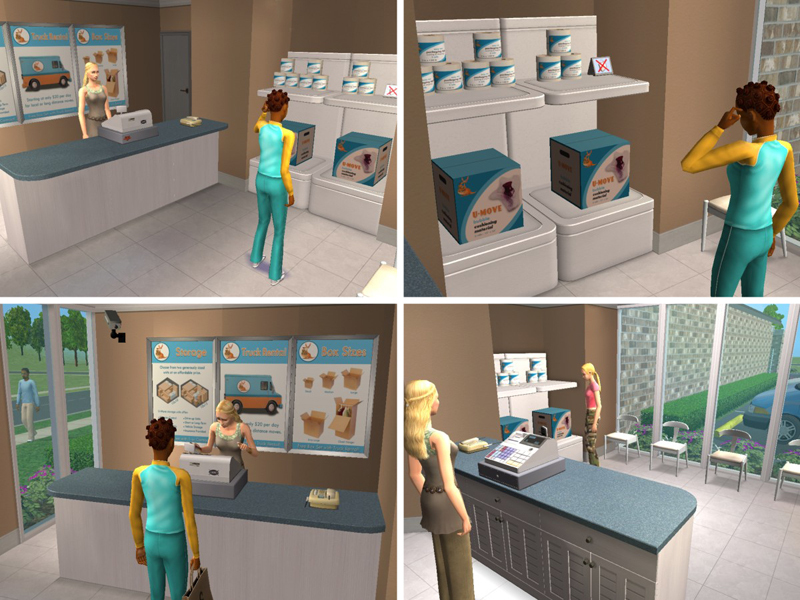 The business owner turns a profit by selling bubble wrap, packing tape and rental moving trucks in the store, as well as the ticket machine at the security gate. 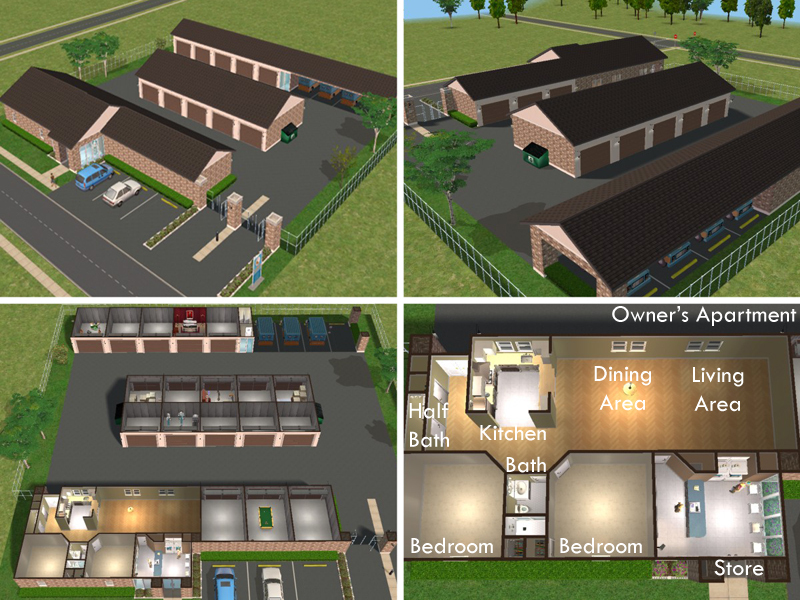 Several of the storage units have been 'filled' with junk and activities to keep visiting Sims busy. 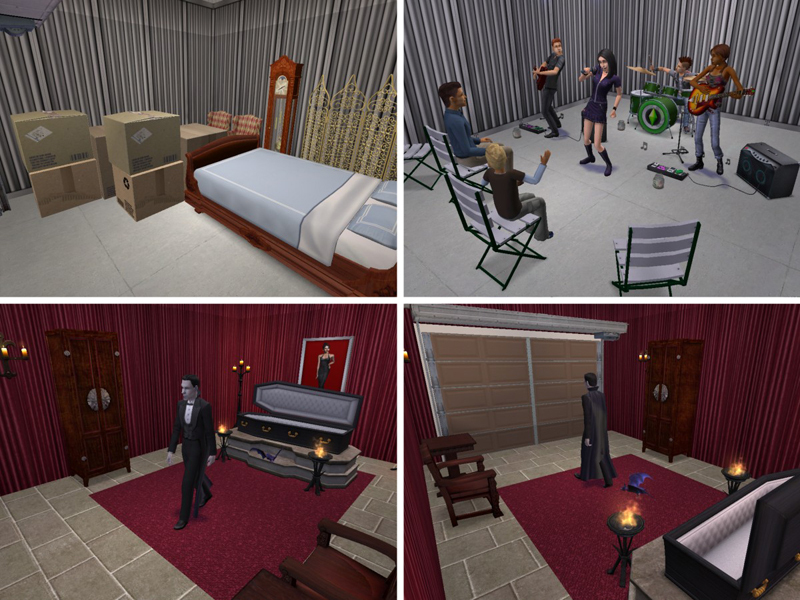 For instance, there is a unit set up for a garage band to practice, a recreational room, fitness equipment and a special decorated unit for a vampire Sim. Most units are waiting to be filled with more 'junk'. The restroom has an empty spot to place a vending machine for the visitors. The owner's apartment is conveniently located at the front of the lot where it connects to the store and into the gated area. It is unfurnished and has neutral paint. 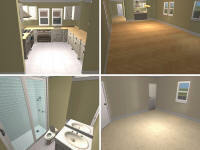 It includes two bedrooms, one full bath and one half-bath. The kitchen overlooks the combined living and dining area. 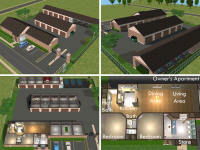 It will accommodate four residents comfortably. The Sims, Sims 2 and Maxis are registered trademarks of Electronic Arts Inc.